The Calaveras County Water District Board of Directors recently contributed $5,000 to CalaverasGROWN to aide in Butte Fire recovery efforts. 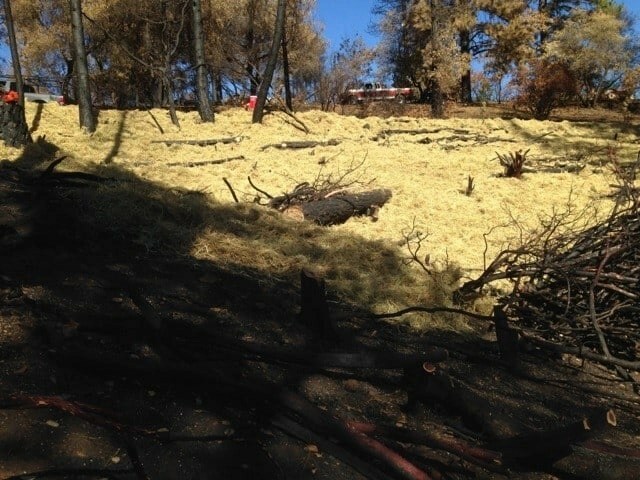 The community organization used the funds to purchase weed-free rice straw, which is spread over burned areas that have the highest risk of erosion. These efforts provide significant benefits to private landowners by giving the land a chance to spring back to life without catastrophic erosion damage. These erosion-control techniques also greatly reduce the amount of ash, mud and debris that end up in the Calaveras River, which flows into New Hogan Reservoir. 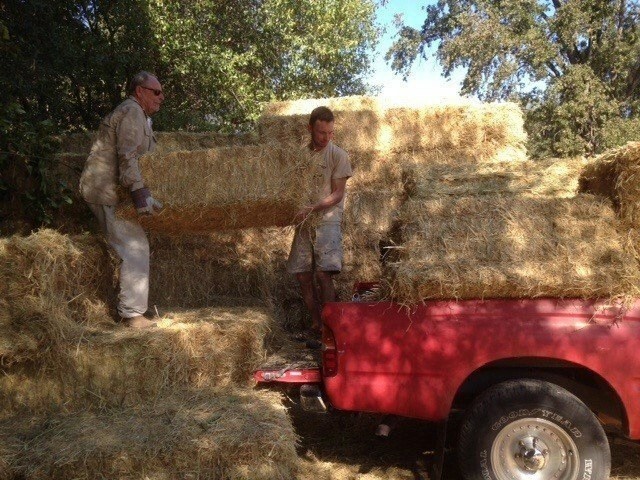 But CalaverasGROWN is about much more than simply spreading straw. 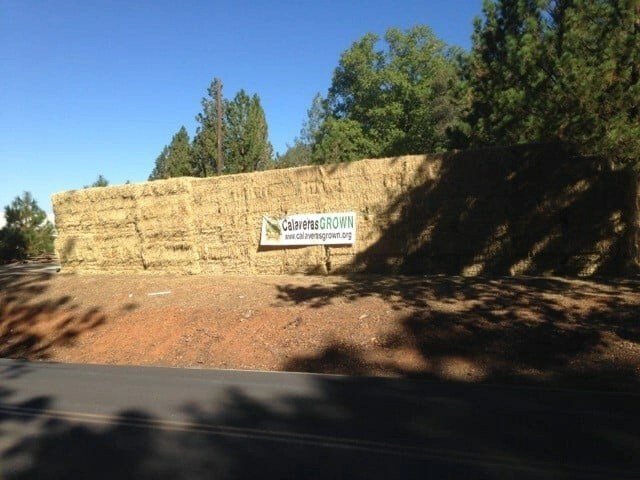 CalaverasGROWN began 15 years ago as a countywide cooperative marketing program designed to assist agricultural producers market their product. 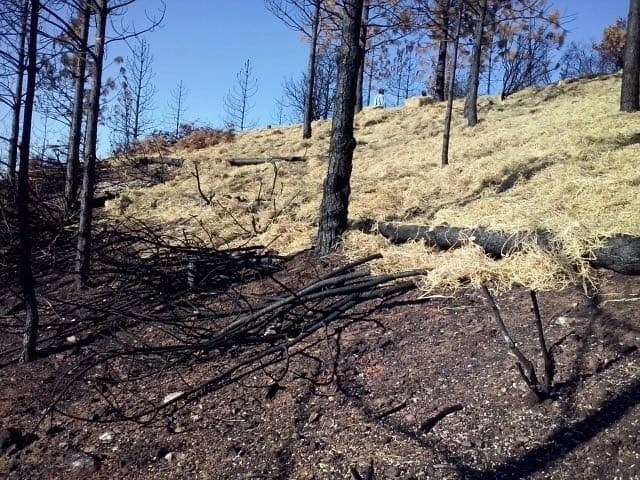 In September 2015, when Butte Fire charred more than 70,000 acres in Calaveras, the group quickly organized the CalaverasGROWN Community and Forest Recovery Program to help mitigate the wildfire’s impacts. 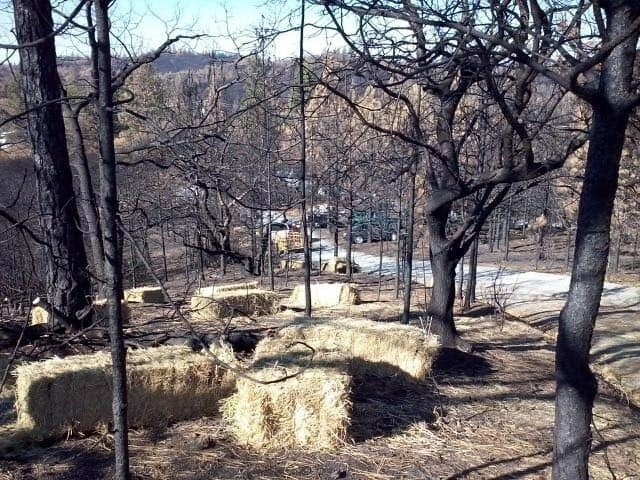 Since its inception, volunteers have put in more than 3,000 hours spreading more than 22,000 bales of straw over more than 500 acres, felling charred trees and bringing damaged wells back to life. Kriletich organizes work parties twice a week (Email info@calaverasgrown.org, call (209) 498-8081 or visit Facebook to sign up), and in late January more than 40 people showed up to lend a hand. The CCWD Board of Directors is proud to support CalaverasGROWN’s efforts, and Board President Terry Strange said the group is doing excellent work. 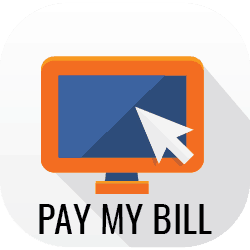 Along with CCWD’s contribution, CalaverasGROWN has also received donations from the East Bay Municipal Utility District and the Stockton East Water District. The Butte Fire has caused grave concern for water suppliers that rely on the Calaveras and Mokelumne watersheds. CCWD’s treatment plant draws water from the Calaveras River just below the New Hogan Dam and serves 10,000 people in the greater Rancho Calaveras area. Even with the clean-up efforts of CalaverasGROWN and many other organizations, CCWD is moving forward with the installation of a pretreatment facility at its plant in Rancho Calaveras to help ensure safe and reliable water service will be provided to customers. More than $2.8 million, or 75 percent, of the cost of the facility will be funded by the Federal Emergency Management Agency (FEMA) with CCWD covering the remaining 25 percent match. The facility will filter out ash, mud and debris that wash down from the Butte Fire burn area. CCWD aims to complete this investment in its infrastructure by the end of 2016. 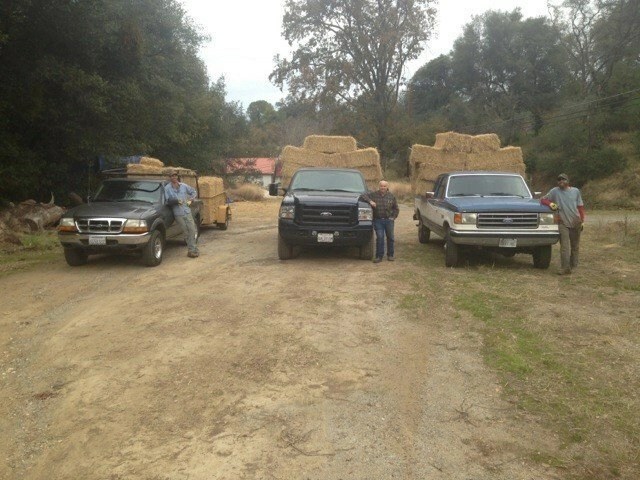 Click here to read a letter to CCWD from CalaverasGROWN that describes the group’s ongoing recovery efforts.